The type of fancy, decorative, exotic bracelet you've been looking for has a name: Bangle. Inspired by those originally used in all kinds of customs and traditions in South Asia, these bracelets have been used through the ages and are instantly recognizable in all kinds of environments and costumes. 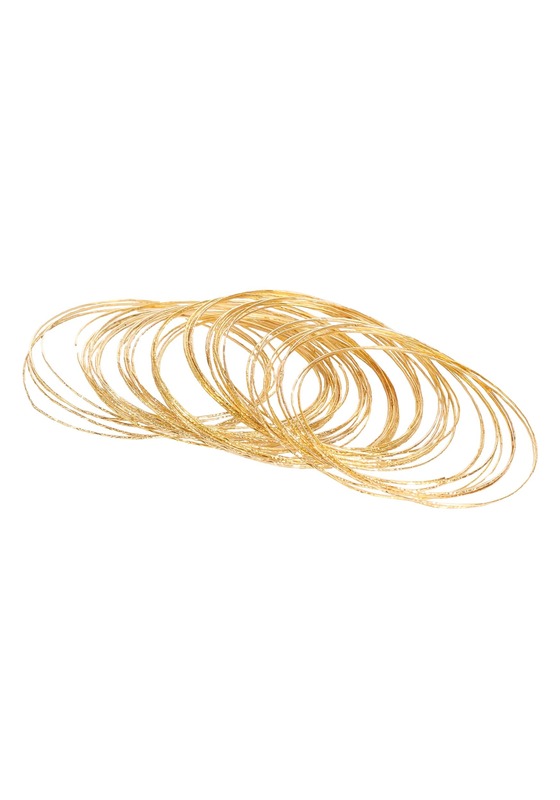 So if you need to add a touch of authenticity and flair to your getup this Halloween (or, heck, if you just want to wear them as a subtle fashion statement on any night of the year), make these beautiful Gold Bangles a part of your plans! This 50-piece set of gold bracelets goes perfectly with any Cleopatra or Egyptian costume, and would look right at home on the arm of a mysterious and alluring fortune teller! And they're just the start. We've got all the odds and ends you need to get yourself fully decked out this Halloween, so have a look at our wide selection of historical and Egyptian accessories!